Military law runs alongside civil and criminal law in the UK. All three military services are subject to the Armed Forces Act 2006. We represent all service personnel from the army, navy and air force. Being accused of breaking military law can have severe consequences, hence it is important to instruct a solicitor with experience. Additionally, any civilian police enquiry or civilian criminal proceedings may have potentially serious consequences for the career and life of armed forces personnel. Our dedicated military law team have represented numerous military personnel from initial investigation and interview by the SIB or RMP through to Courts Martial. Allegations that we have dealt with include sexual assaults, theft, fraud, disobeying orders and breaches of curfew to murder enquiries. 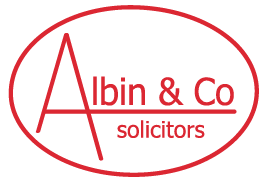 We are able to provide a legal service tailored expressly to support you through the entire process and the complexities of the service environment.